Design sketch, you can order your own without costs. Ties in special design with logo. Scarves in a logo design. Ameno silk ties and silk scarves with logo or in logo colors. Logo in the luxery way. – Create an exclusive VIP present for sponsors and members of the network in a football club. A nice high quality silk tie, with allover logos in shadow weave, combined wit one logo in a contrast color. “Antique Silver Brush” cuff links with 3D embossed logo. All in a nice gift packing. Pins with logo is a simple and inexpensive advertising product. Pins with logo is a simple and inexpensive advertising product,and a great medium for images and company logo. Pins with logo can be used anywhere. We deliver your logopins with a clever closure on the back. It’s a needle in a so-called butterflyclutch. That means you can mount your logopins on jackets, bags, shirts or caps. Logopins with your image or logo can be delivered quickly and in many qualities, even from small quantities. You can order your own pins with logo from only 100 pcs. It’s easy for you to use logopins to share your message. We make design based on your wishes and you can choose between different qualities. 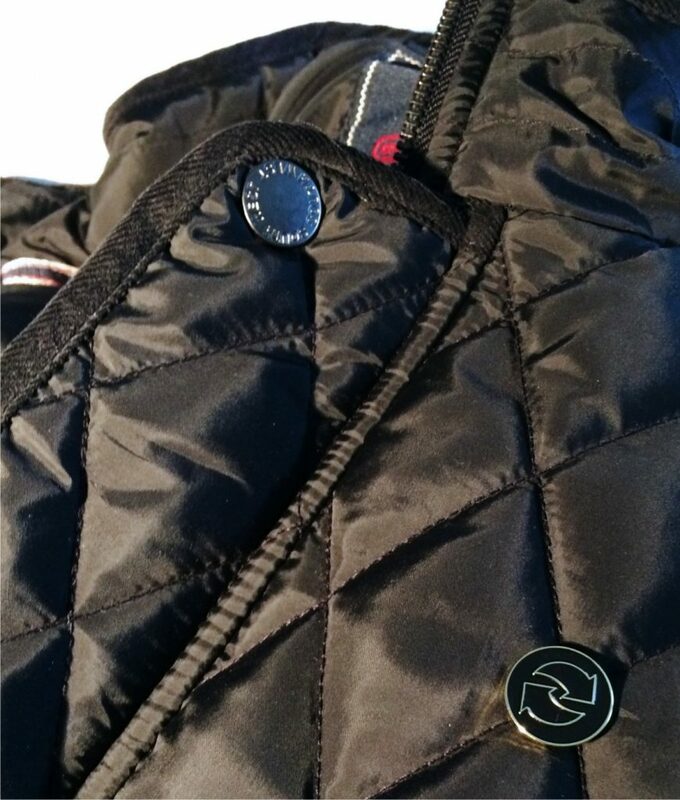 You can choose to use logopins on your corporate clothing, instead of logo embroidery or logo printing. This makes it very easy and inexpensive to get logo on corporate clothing. Just make sure that your employees have a small stock of logopins, then they put a pin on their company shirt and wind jacket, caps or any other item and quickly gets a company logo on the chest or collar. New AMENO big scarves in a soft modal viscose quality. 17 colors available from stock. Big scarves for corporate clothing. AMENO scarves shawls in 17 colors available from stock. These new big AMENO scarves in the soft modal viscose quality are available from stock in 17 colors. The size is perfect 100x180cm. AMENO scarves are specially made for corporate clothing, business work wear, uniforms and promotional gifts.. The nice big AMENO scarves are in stock. Available in 17 colors, and each color is matching the colors of AMENO series of solid color silk ties, silk bowties and silk pocket squares which are used for company wear, corporate clothing and other promotional corporate clothing. Do you want to see ties and scarves in the same colors looks? Take a look at this example. 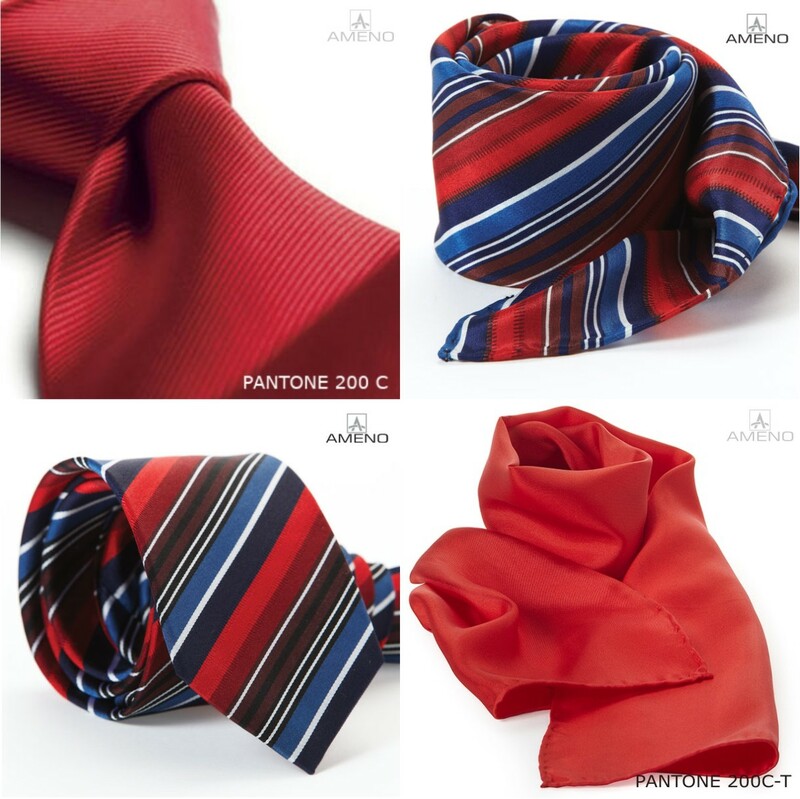 All AMENO silk ties and silk scarves are available in the same design and in the same colors. All in stock, for immediate delivery all over the world. The AMENO ties and scarves in the same design are very popular for hotel staff, people working in shops, drivers and as eye catching accesories for corporate clothing. Do you want a nice big scarf in your own design, or even with your company logo? The big scarf in the soft modal viscose quality, is fantastic for making your company scarf, with your logo or in corporate colors. We would be happy to provide you with design sketches for your own design of scarves for corporate use. Design and artwork is a part of our service, free of charge. So dont hesitate! Lets make some designs of corporate scarves, and perhaps logo ties in the same design. Corporate ties ans corporate scarves in your opwn design is avalable i from only 100 pieces per model. Please send us a request here, attache your logo, and ad some informations about the purpose and your wishes for your own design. New AMENO ties and scarves for coporate clothing! Now, the new AMENO CATALOGUE is released. 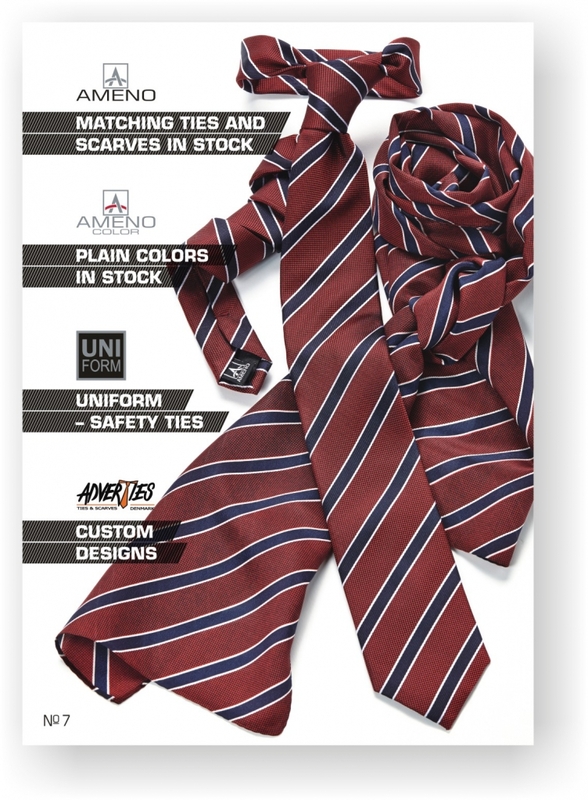 AMENO is Denmark’s largest collection of ties and scarves, where you will find all designs, both as ties and scarves, the AMENO collection are always in stock. This collection is dedicated specifically to corporate clothing and promotion. ALL ties and scarves are made ​​from 100% silk, high quality and the best workmanship. ALL our ties in the AMENO collection is treated with DuPont Teflon Fabric Protector, which means that your tie is better protected against stains! You can view the entire catalogue here! If you don’t find what you need in the catalogue, you can ALWAYS find the wide range of our stock of TIE’S and SCARVES. Phone: +45 86 63 87 77/ +45 40 18 25 29 or use our CONTACT FORM. Right now our stock is filled up with bowties in silk, along with hankies, in same matching colors. Ties and scarves are available in the same colors. Take a look at all the nice colors here. Do you use ties and scarves r corporate wear or your uniform? Or do you need to brand your your company at a fair or an event? We can supply you with ties and scarves tith logo, or in corporate colors. All designs are made in Denmark, and the Scandinavian Style is an important part of our mindset. 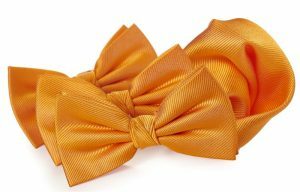 You can have the nicest silkties, silk scarves in the finest quality, or you can get a realy good quality of polyester ties and scarves, ofcourse to a cheaper price. As we are specialized in design and production of ties and scarves we can offer many options. 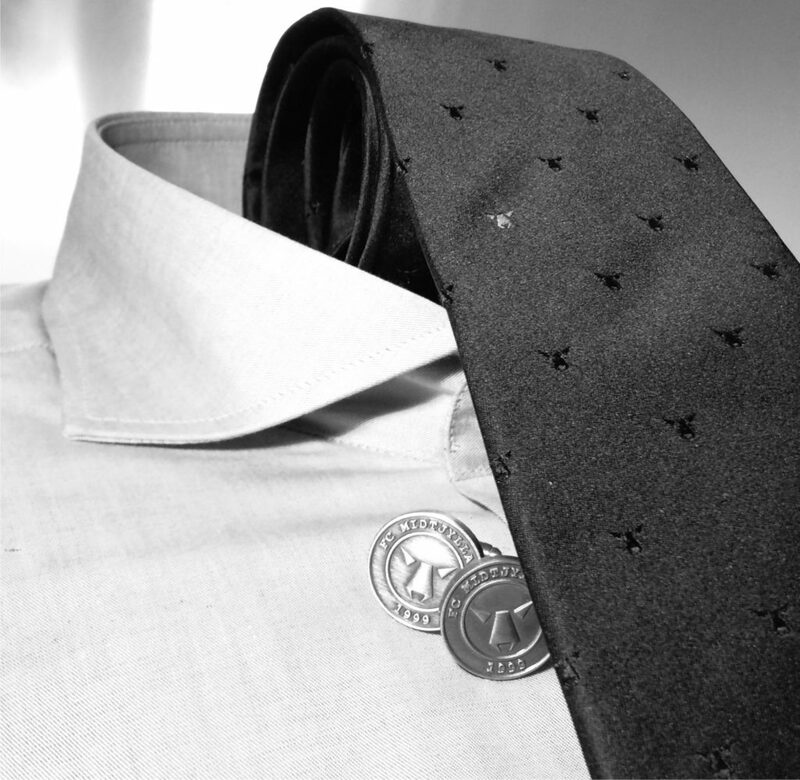 You can choose: Ties with logo, scarves with logo, ties for uniforms and ties for work. You can choose silk ties in your own design, or we can make the design of your logo tie and logo scarf. 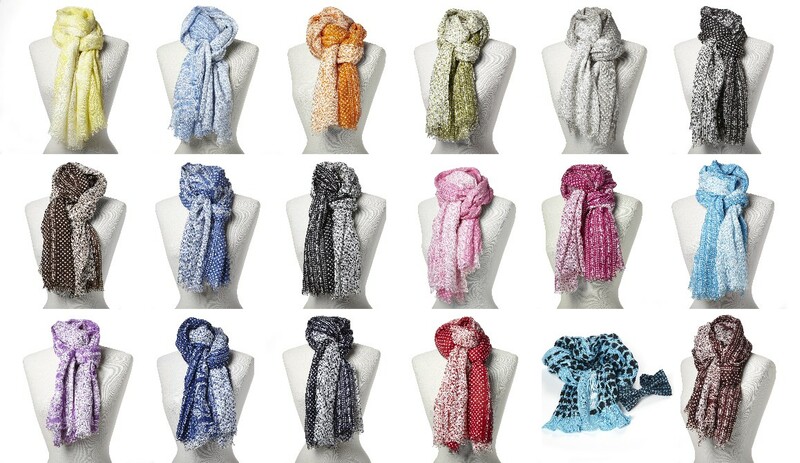 Scarves in silk or scarves in polyester can be made in different sizes, according to your wishes. Minimum quantity is as low as 100 pieces in your own design. If you need less than 100 pieces, we can offer silk ties and silk scarves from our AMENO collection, and we can ad a special woven label with your logo. We wish all of our clients a Happy New Year. Meet us at the EXPO NEWS fair in Copenhagen January 22nd and 23rd. 2013. Please order your free entry tickets here. High quality ties and scarves of silk. All designs in the AMENO collection is available as both neckties and scarves. we give you the largest collection of ties and scvarves in matching designs. Silk ties and silk scarves made for corporate clothing and promotional use. Special design of ties and scarves. 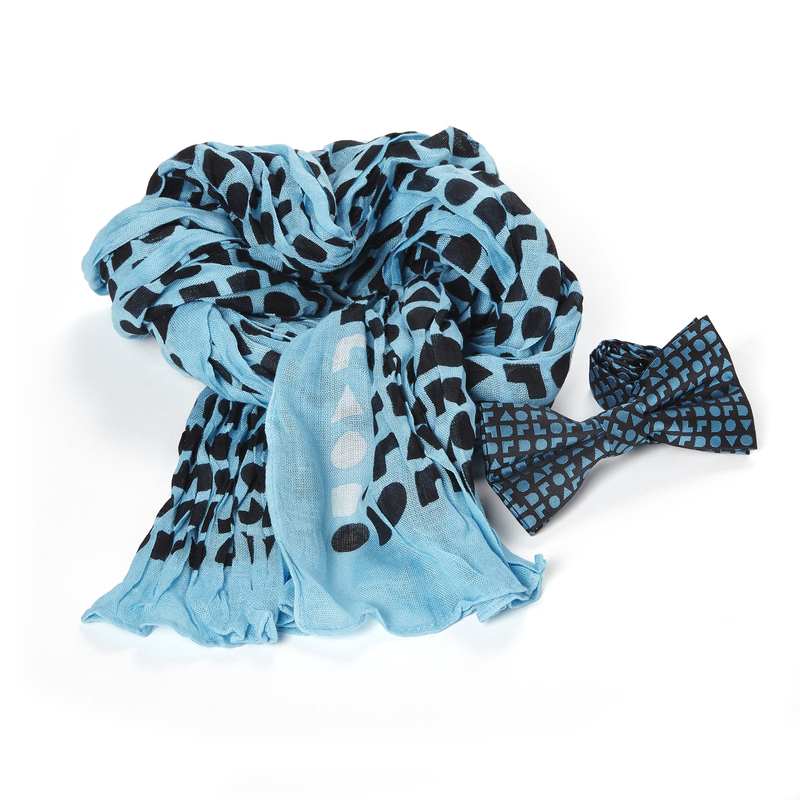 Ties, Scarves and accessories …. Here is a complete presentation for your company. The quality is top notch, and made to the needs you have. Combined with small quantity in special production we can meet your needs for corporate accessories. Let us make a presentation for you. You will be surprised of the possibilities we can offer you. Please fill out the contact form and we will send you a set of design sketches free of charge. 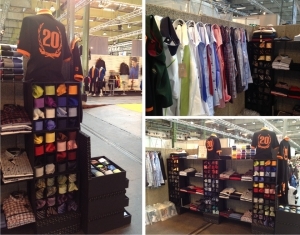 Thank you to all our customers who visited us at EXPOnews fair in Copenhagen. 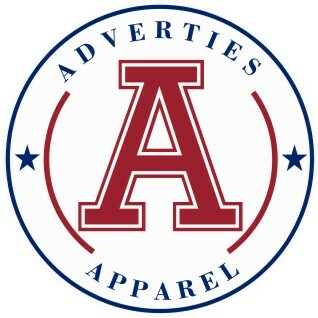 It was a pleasure to introduce our new product line Adverties Apparel, which was received with great enthusiasm. We were basically booked with customers during opening hours, so if you went in vain at our booth, please contact us! We will come to you. You can call us on phone +45 8663 8777 or you can fill in the contact form.